FULL NAME: Olaonipekun Oladapo Olaitan a.k.a Dagrin, Barack O’Grin, Lyrical Werre, Fi mi le Jo. DATE OF BIRTH: October 25th, 1987. DIED: April 23, 2010 (aged 22) in Mushin, Lagos State, Nigeria. STATE OF ORIGIN: Ogun State. OCCUPATION: Musician (Hip Hop Artist rap star). LANGUAGES: Igbo, Yoruba, Hausa And English. YEAR ACTIVE: 1994 – 2010. 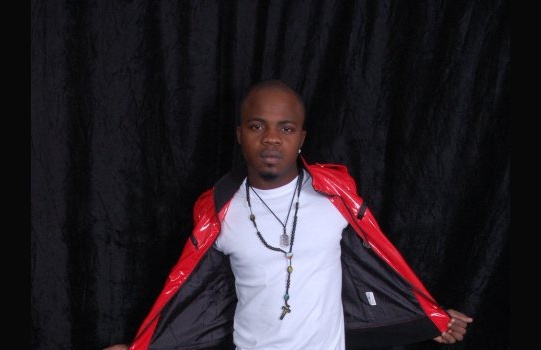 DID DAGRIN HAD A YOUNGER BROTHER WHO SINGS? Yeah! 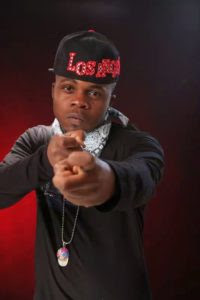 Dagrin does have a younger brother who’s a musician, rapper precisely, TROD – The Return Of Dagrin. Da Grin was a famous indigenous rap artiste. Born on 25 October 1987 in Ogun state. Meanwhile, His prolific rap lyrics in Yoruba language won the hearts of everyone as he carved a niche for himself inspite of the presence of pioneer mother-tongue rappers like ‘Lord of Ajasa’. Dagrin has featured with several artists which includes Sossick, D.J Spaclare, D.J Neptune, M.I, 9ice, Reminisce,Konga, Omawunmi, TGBT Entertainment, Ruggedman, Kode, OritseFemi, Kenny St. Brown, Sheyman, Dr. Frabz, Frenzy etc.. The “Kondo” crooner’s sojourn was cut short on April 22, 2010 when he died from injuries he sustained in a fatal accident. Dagrin’s home was in Meiran, Alagbado, Lagos. His style of rapping incorporated Yoruba, English and Pidgin English. In 2010 he was nominated for the Nigerian Entertainment Awards for Best Album (C.E.O. ), Hottest Single “Pon Pon Pon”, Best Rap Act and Best Collaboration with vocals. His album C.E.O. (Chief executive Omota English: Chief Executive Gangster) won the Hip hop World Award 2010 for best rap album. From it came the singles “Pon Pon Pon”, and “Kondo”. Dagrin worked with other Nigerian artists such as Y.Q, 9ice, M.I, Iceberg Slim,omobaba,terry g,code,MISTAR DOLLAR, TMD entertainment, omowumi, chudy k, Bigiano, and Konga. He associated with music producers like Sossick, Dr Frabz, Sheyman, Frenzy and 02. 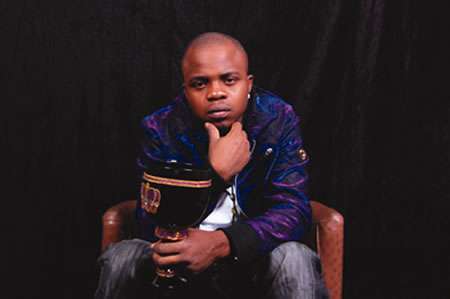 Dagrin, aged 26, died at exactly 6 pm on Thursday, April 22, 2010, at the Lagos State Teaching Hospital, LUTH and was buried on Friday, April 30, 2010, at the Ebony Millennium Private Vault, Atan Cemetery. Above and some many more versions of comment were said about his death from people who seems concerned. Dagrin’s single “Pon Pon Pon” has some cultural significance, it talks about the life style in Lagos, Agege, Ifewara, Mushin, Ikeja, Surulere, Isale Eko, and many other parts of south western Nigeria where life in the slums mixes up with life in the affluent cities and parts of Lagos Nigeria. His songs touch upon ethnicity, pride, while surviving the streets of Lagos and a hint of criticism elderly people hurls against bad behaviour. The music video proudly displays young people in their twenties and early thirties proudly displaying their tribal marks in retrospect of the old Yoruba empire of Ile-Ife. Dagrin as we popularly is creative Yoruba indigenous rapper whom can rap anything rap-able. He’s ghat a lot skill in raps. Wherefore he raps in different languages which includes Yoruba(his language), Igbo and even Hausa. He’s good alot when it comes to rap, and why even till now Nigeria music industry still gives him respect for things he laid down before he died. More Loading.. Meanwhile, A film of his life Ghetto Dreamz, starring Trybson Dudukoko and Doris Simeon-Ademinokan as his girlfriend has been made and was released in April 2011. Sossick who happens to be the one responsible for crafting the classic album “C.E.O (Chief Executive Omota)” album with Dagrin, which propelled the rapper to the zenith of Nigerian rap music. From the meeting in Lagos to recording sessions, Sossick shared stories of his key moments with Dagrin, and his reaction after his passing. The interview below has been condensed and edited for clarity. He said he will call me anytime the boy was on air. But that never happened, and I never got to see that video. One day I was in school, and my phone rings. The voice said, ‘Hey yo, is this Sossick,’ I was like yeah. ‘Baba na Dagrin’, he said. I rap. I then remembered that this was the guy Gino was crazy about. He said he wanted to see me, and asked where I was. I told him I was in school, and he said he was coming over. Dagrin came through to Yabatech. He was accompanied by Sati Ramoni. We went to a fast food joint, and he was surprised. He kept saying ‘Sosizay Baba, na you fit do am.’ The way he believed in me, nobody in this life has ever believed in me like that. I told him I have heard about him and said we will work together. Sati said I should do one or two songs for him, and I gave him my pricelist. They said they will pay. I used to charge N100,000 back then. There was this beat I was making for Bnaky W, but it didn’t work out. So Dagrin came, I played the beat and he liked it. He took the beat home and went to write on it. The next day he called me excitedly and said he was ready. He came alone to my hostel and said we should go record this record. I hear the first verse, and I told my guys “Yo I dey go house…I have to record this. The song was ‘Moti Gboro’. We went home to record, and my head burst. It was one take, right there. I sang the hook originally, and gave it to Isolate to record. The way he rapped, my head was blown. I told him we should record more. That was the easiest recording we ever did. It took us 20 minutes. Dagrin loved 50 Cent. He wanted to be the new 50 Cent. He loved him deeply. I had made the beat for ‘Pon pon pon’ four months before I met Dagrin. A lot of people came in and I played it for them. I was trying to market it but they wanted something else. They wanted something closer to Shank’s ‘Julie’. They all admitted that the beat was great but no one wanted to buy it. I had once played it for Ruggedman too. But he turned it down. The moment Dagrin stepped into the studio and heard the beat, he simply took off his shirt, and said “Baba na this one.” He had one saying back then which says: After Jesus Christ, na Sossick.’ I made that beat for Traffic, but he didn’t like it. Other rappers didn’t connect with it. They didn’t get it. Dagrin heard the beat and he flipped. He took off his shirt and was stunned. He said we have to piece it together. He sat down and began to piece it together. Grin was in the studio recording, and we now got to the point where we had to come up with the chorus. The rap had already finished my head. When I saw the romance between the beat and the lyrics, I felt like we didn’t need a chorus. Dagrin knew what he wanted to be. He wasn’t like the dopest rapper, Modenine was probably doper, but he knew what he wanted to be. When Dagrin died, we still had a lot to do. I didn’t want to believe. I felt that like it was one of those news that they got wrong. I thought that at some point they will announce that it was fake news. I was at the hospityal, and I said everyone should just relax. 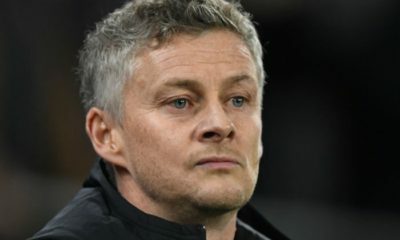 I said they should relax because Dagrin will wake up. I considered a lot of things. I thought T.B Joshua would help us. I never moved one because I kept believing that something would happen and he would come back, I kept feeling that it doesn’t have to end here. Dagrin had a lot to do. How do you move n from something that great? How do you move on from something that changed your life? I didn’t understand life at that point, I had questions. How can you get there finally and this just happens? I had a lot of things on my mind. I didn’t understand anything. I didn’t know that people died at their peak. It was fucked up, especially when we had linked up to make a second album. We had huge plans, and I didn’t know what to do, where to go, how to act. I didn’t see it coming. I was seeing him at the hospital, he looked good, and I thought he was going to bounce back. It was abnormal. I just felt like going to sleep for a while. Where do you go from there? I thought we had found our home. In this life, nobody really knows. I couldn’t sleep at home. I would simply enter my car, drive around Lagos until the morning. I didn’t feel right. I was haunted, I felt that something was coming for me. At that point, I forgot the industry. He was brought into the cemetery for burial in a black Ebony Escalade Cadillac ESV 2007 model. Candle light procession in honour of the late rapper started from his former home at Emmanuel Dada Street, off Bello Road, to Ojez, National Stadium, Surulere at about 6pm on Thursday, April 29, 2010. His body was left for Twenty Four hours before embalmment. The late rapper was buried at the Ebony Millennium Private Vault, Atan cemetery. He had 129 pictures in his four photo albums on Facebook. The late rapper was buried, wearing white hand gloves, white belt and a white T-shirt; black waist coat, black bandana around his neck, a black trouser and a black fez cap. The slabs on his tomb were four in number. His body was brought into the cemetery at 9.00am on Friday, April 30, 2010. He was finally interned at about 10.45 am on Friday, April 30, 2010. 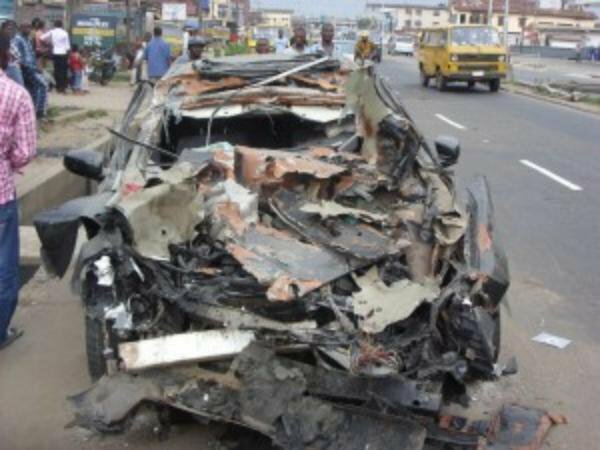 The late rapper’s car ran into a stationary lorry in front of Alakara Police station, Mushin on Wednesday, April 24, 2010. He was 26 years old. 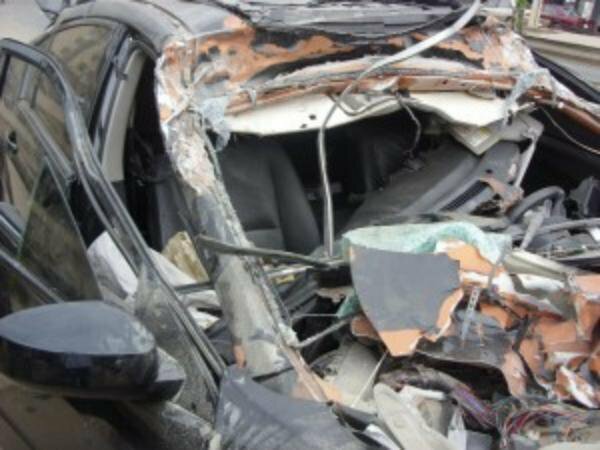 His ill-fated Nissan Maxima was a 2008 model. 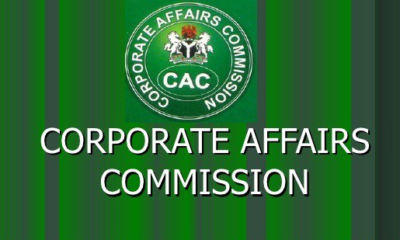 His father lives at 43, Kola Oretuga Street, off Meiran Road, Iyana Meiran bus stop, Agbado Oke-Odo LCDA. He was the fourth child in a family of nine. 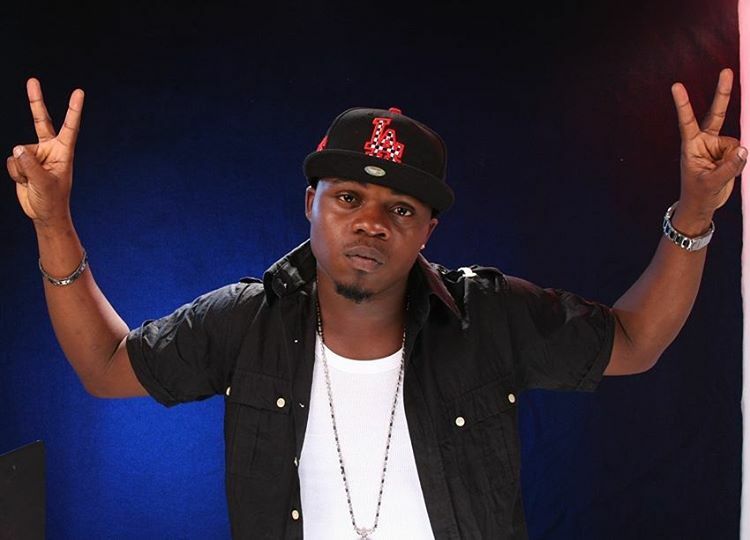 Dagrin was signed to his own label, ‘Missofunyin Entertainment’ but managed by Edlyne Records. He attended Meiran Community Primary School, Roseille Nursery and Primary School, Meiran Community High School and Egbado College. The bandana on the late rapper’s neck for burial was the same as the one on his Manager, Tunde Peters, Zeez, YQ and his close friends. His father’s nickname is Nelly. He has a music store, ‘House of Nelly Sounds’, located at Meiran bus stop, where he used to stay before moving to Surulere. His father’s speech at the candle light ceremony was the rap he did to the song he was featured in by YQ, titled: ‘Efimile’. His casket was coloured brown, with a touch of gold. He died eight days after the accident. Doctors at the Lagos State Teaching Hospital, LUTH said he survived nine attacks before he finally gave up the ghost during the 10th. He died 6.00 pm on Thursday, April 22, 2010, eight days after his car crashed, and was buried eight days after his death. Desperate fans almost tore down the Ebony gate at Atan, when they were initially prevented from getting in; and refused to leave after his burial. The burial was originally designed to have only 150 people in attendance, but thousands stormed the cemetery to pay their last respect. Touts were seen at the burial, smoking Indian hemp and selling Dagrin T-shirts. Julius Agwu and Omo Baba anchored his Candle Light ceremony, held at Ojez, National Stadium, Surulere on Thursday, April 29, 2010. His ill-fated car carried the number plate, DAGRIN 03. 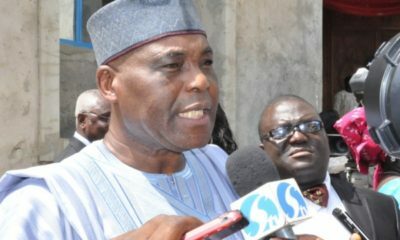 He planned to buy two other cars, to be numbered Dagrin 02 and Dagrin 01. The accident that claimed his life happened 2.00am on April 14. He was initially admitted at Tai Sholarin Private Hospital, Mushin, Baba Olosa bus stop. He had three videos to his credit, titled: Kilowale –ft PK, Rap rules and Ponponpon. 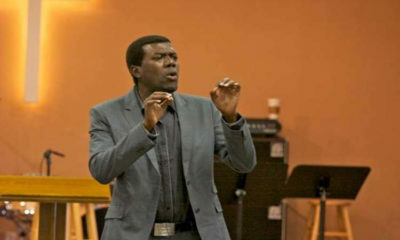 He had two albums to his credit, titled: Still on the matter and Chief Executive Omoita. Dagrin’s mother, Mrs. Olaonipekun was the second of his father’s three wives. He was a Yoruba lyricist; just like the older but less popular, Lord of Ajasa. The last time he logged on to Twitter was on Thursday, April 8, 2010. He died of severe head injury. The slab where the late rapper’s body was kept at the mortuary is tagged: Number 8. The late rapper had three nominations at the coming Hip Hop World Awards. His parents were expectedly both absent at his burial. His Twitter ID was Dagrinfimile. 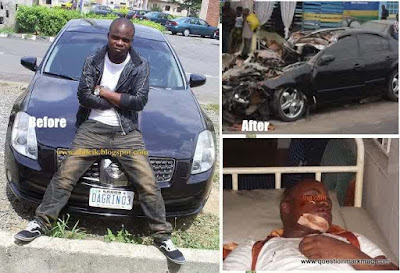 Two months before his death, Dagrin moved into Block 10, Flat 3, at the Sunshine Estate, Oko Oba in Lagos. Sources at Ebony Casket says his casket cost N150,000. His Facebook name was Dagrin fimilejo. His email address was sendmimore@yahoo.com. Striking doctors at the Lagos State University Teaching Hospital, LUTH resumed work the same day he was buried. Websites like www.thenetng.com and questionmarkmag.com jammed because of huge traffic, following news of the rapper’s death. The late rapper had 4,930 friends on Facebook. There were underground speculations that Dagrin had a baby outside wedlock which he refused to accept responsibility of before he became a rap star. Artiste manager, Sunday Are and comedian, Tee A were part of logistics support team. At the time of his entombment, there was still a vacant tomb, opened beside his vault. Apart from mortuary expenses, the total bill incurred during his stay at LUTH was about N800,000.